Home / Face / How Do Chemical Peels Differ? Chemical peels are not created equal. They generally differ on the strength of the peeling agent, their depth of penetration into the skin, and consequently, on the length of their healing process. Depending on your skin type and your skin concern, a gentle peel may be prescribed as pigmentation treatment over the course of several months, or a single, deeper peel may be more suited to achieve the kind of long-lasting (and dramatic) result you want. Using only mild acids such as alpha hydroxy acid (of which there are many, glycolic acid being the most common), superficial peels gently exfoliate only the outer layer of the epidermis to correct mild skin discoloration, and smoothen out rough skin of the face, neck, chest or hands. As it’s only a mild peel, a superficial peel is done as a true outpatient procedure without the need for anaesthesia nor downtime. Although the skin may take up to 7 days to heal, most people are able to return to their normal activities immediately. The redness can be covered up with makeup in 2 days. Chemical peels are one of the most popular non-invasive skin pigmentation treatments around the world. It has been since ancient Egypt, and for good reason. They are more effective at stripping away the top layer of dead skin cells than brushes or scrubs, which can be abrasive and more irritating to the skin. In Singapore, one skin whitening peel treatment that has a high safety and efficacy rate is Cutis Crystal Peel. It contains glycolic acid as well as other skin brightening ingredients like kojic acid, vitamin C, hydroquinone and uva ursi (a source of arbutin, which is the natural counterpart of hydroquinone). Trichloroacetic acid or TCA is the main peeling agent for this type of chemical peel. Medium peels penetrate up to the middle layers of the skin, and may require a pain reliever or oral sedative to make patients comfortable during the procedure. Like the superficial peel, medium peels are done on an outpatient basis, but usually require a few days of downtime. On the third day after the treatment, the skin turns reddish brown, and eventually becomes crusty after a few more days. The skin starts to flake soon after and falls off until the 14th day when it is sufficiently healed. Makeup may be applied after 5 to 7 days. If you want to correct fine lines and wrinkles, minimise pores, erase age spots, freckles and other moderate skin discoloration, as well as clear up clogged pores, medium peels work best. To clear up your clogged pores, consider getting a chemical peel that contains salicylic acid, as this type beta hydroxy acid (BHA) works its way to penetrate the pores and kill acne-causing bacteria. One example of a high yet safe concentration of acne treatment Singapore patients have access to is Cutis Anti Acne Peel. It has been successfully used to treat mild and moderate acne using extracts derived from the willow plant. 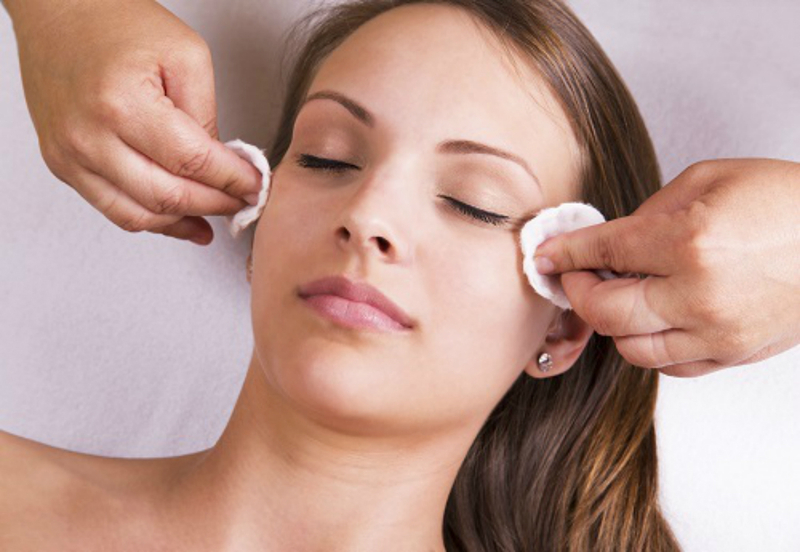 Chemical peels with salicylic acid, such as the Cutis Anti Acne Peel, are also suitable to treat enlarged pores. A deep peel uses phenol or TCA to deeply penetrate the middle layer of the skin, often requiring oral sedative or pain relievers to make the patient comfortable throughout the procedure. Deep peels are ideal to use on light-skinned patients (not on darker skin types because they bleach the skin) who want to treat long-term sun damage, moderate to severe wrinkles, pronounced pigment changes and lesions and growths on skin. With deep peels, camouflage makeup is allowed after 14 days. It may take up to 2 months for the redness to fade away, and several months more for the skin to completely heal. One popular pigmentation treatment Singapore patients enjoy is Cutis Vitality Peel. It contains a combination of TCA, phenol and hydroquinone, as well as salicylic and retinoic acid, that work their way to the deeper layers of the skin to rejuvenate dull skin tone, reduce acne scars, wrinkles and lines, correct uneven skin texture caused by melasma, age spots and freckles, and stimulate the production of collagen. The result is not just smoother texture and clearer complexion but also a firmer and more youthful skin.